A premium soft roll-up, that mounts on top of your pickup boxes rail for more bed access when rolled up. Full Access Design Low profile clamps and unique side rail design keeps clamps hidden and out of the way for full truck bed usage. Weathertuff Seals Dual seals provide excellent sealing that withstands high temperatures and repels water. Easy Installation Heavy-duty side rails are pre-drilled for quick and easy no-measure clamp placement. Quick Release One finger release levers at the cab and tail rails to instant removal. Bows Roll Up with Tarp Heavy-duty bows are pre-positioned and conveniently roll up within the tarp for easy storage in one quick step. The Extang Express tonneau cover comes completely assembled and can be quickly installed on your pickup. It can be easily installed with the built in clamps. Each product comes with easy to understand vehicle specific installation instructions. 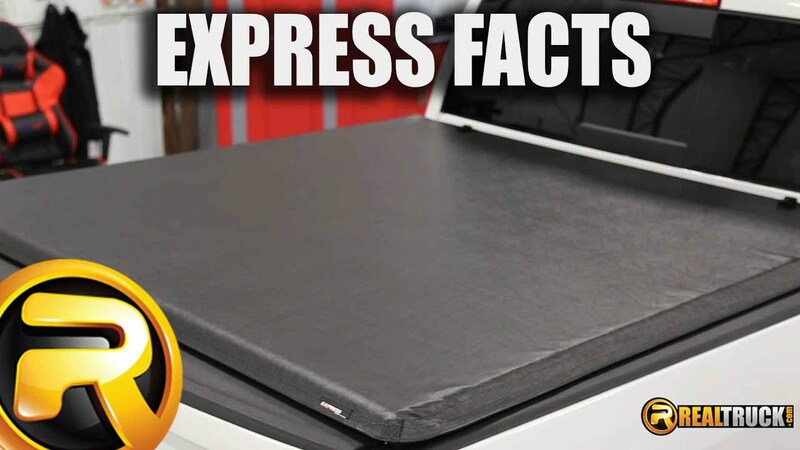 The Extang Express Tonno carries a lifetime warranty against defective materials or workmanship on all truck bed cover rails, aluminum components, clamps, bows, hardware and vinyl covering.